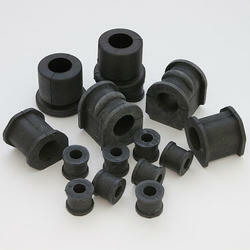 We manufacture shweybar bushing . We are India , Gujarat State, Ahmedabad City base manufacturing unit with full fledged plant and machinery spread in 20,000 Sq. feet of Area with in house testing facility and backed with 40 years of experience in this field .